Chandler Engineering has developed a Model 3260 Constant Speed Mixer for blending cement slurry in compliance with the API’s 10A/B. These mixers are engineered to operate at constant speeds thereby mixing the slurry at an automatically-maintained, stable, constant shear rate. These high performance mixers are designed for heavy duty industrial applications and long life. They are equipped with heavy duty motors, stainless steel mixing vessels and hardened long-life mixing blades. An additional shaft seal and special electronic circuitry are added to the mixer motor assembly to ensure its reliability. A large, stable base ensures that the mixer stays in-place during operation. The Model 3260 is extremely simple to operate with three speed control selections. API specific speeds are preset and factory calibrated. These mixers also have a continuously variable speed control function which is adjustable across the entire rpm range. 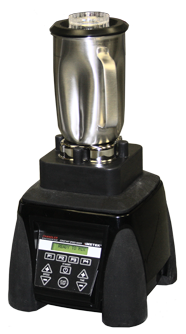 The Model 3260 is provided with a one quart (liter) mixing vessel. The 3260 complies with the procedure as documented in C1738.